Out of nowhere, J. Cole just dropped a brand new song titled “High for Hours.” The track is produced by Elite and Cam O’bi and was obviously not included on Cole’s most recent album, 4 Your Eyez Only, which dropped back in December. Why the track was released as a loosie is unknown, but Cole is spitting from his heart throughout the cut, with the entire second verse about his meeting with President Barack Obama. 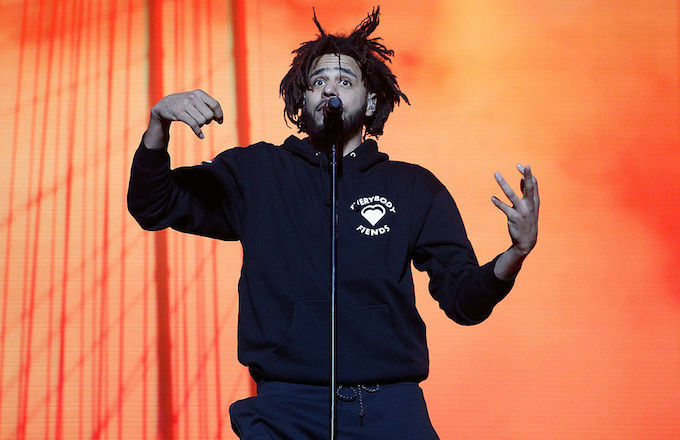 Cole gets rather deep throughout the soulful track, rapping about oppression and sharing his thoughts on abusive life cycles during the powerful third verse. It’s clear that even with his new album out, Cole still has plenty to say and will use his art to do just that. You can listen to the impactful song below. Gucci Mane Delivers ‘3 for 3’ EP The East Atlanta rapper dropped a surprise EP titled 3 for 3.